In his free time, Dr. Pettit likes to play, write and listen to music, serve in his church and spend time with his wife and two kids. It was early in his specialty training at the VA Medical Center that Dr. Pettit discovered his passion for the treatment of temporomandibular disorders. Moved by the number of veterans suffering from chronic temporomandibular dysfunction, he sought additional coursework and elective rotations to enhance his clinical and diagnostic skills. During his final year of residency Dr. Pettit headed the VA Prosthodontic Resident Myofascial Pain Clinic under the direction of Dr. Ronald Auvenshine. 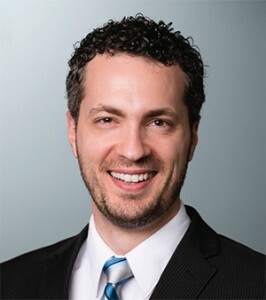 He graduated from the American Academy of Craniofacial Pain Mini-Residency program in 2014, and has completed over 500 hours of continuing education in the field of orofacial pain. He lectures locally and nationally on orofacial pain topics, and currently teaches prosthodontic and general practice residents at the VA hospital in Houston. Dr. Pettit had the honor of studying under Dr. Auvenshine for three years prior to joining MedCenter TMJ in July 2014. He feels privileged to practice in the wonderful city of Houston. Dr. Pettit is committed to a life-time pursuit of knowledge and excellence in treating and managing craniomandibular disorders and temporomandibular dysfunction.